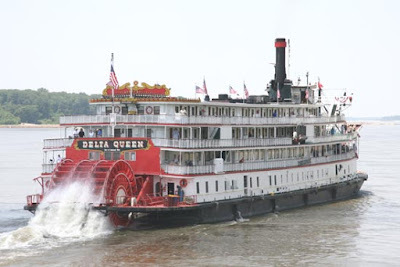 It is hard to imagine the Mississippi River without its iconic steamboats beating their way up and down stream. 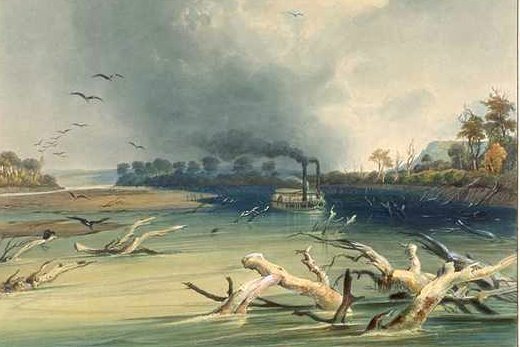 Even Mark Twain once wrote, of the steamboats on the Mississippi; “When I was a boy, there was but one permanent ambition among my comrades in our village on the west bank of the Mississippi River. That was, to be a steamboatman.” But before all of those boats began to ply the waters there must have been a first steamboat on the river. What was the story of that boat? Why are you reading about the Mississippi River this blog about the Hudson River Valley? The short answer to that one is that, its my blog I'll change the rules if I want. It took Fulton and Livingston four more years to complete their plans but in 1811 they began construction of the New Orleans at Pittsburgh. They had added another partner to the endeavor in the form of Nicholas J. Roosevelt, a distant uncle of Theodore Roosevelt. Roosevelt had helped Fulton and Livingston in the construction of the side mounted paddle wheels for the North River. 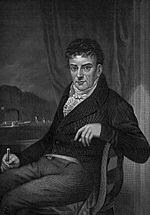 In Pittsburgh he supervised the construction of the new boat which would be 146 feet 6 inches long and 32 feet 6 inches wide. The engine was built in New York and carried in pieces overland to Pittsburgh because there were no facilities for constructing such an engine in the city at the time. The steam boat made its first successful test trip around Pittsburgh on October 15, 1811. Just five days later, on October 20 the New Orleans set out for New Orleans. Aboard her were Nicholas Roosevelt who would act as captain for the trip, his extremely pregnant wife Lydia and their first daughter. Nicholas Baker was the engineer for the trip and Andrew Jack was the pilot. 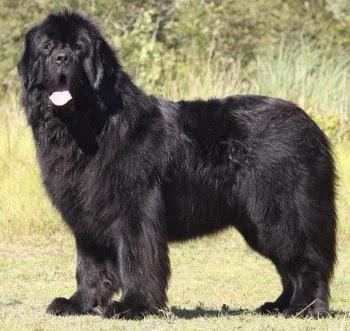 There were also six deck hands, two maids for Lydia, a cook, a waiter and a large Newfoundland dog named Tiger. On October 28 the New Orleans docked at Louisville. The steamboat would have to wait at Louisville nearly a month before the water rose high enough in the Ohio River to allow the boat to traverse the Falls of the Ohio, which were more like a series of shallow rapids than an actual waterfall. 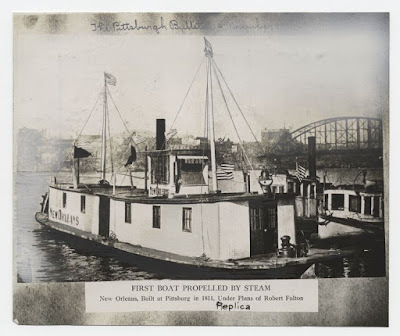 During the wait Roosevelt took the steamboat on several small excursions including a return to Cincinnati to prove that the boat could travel upstream. On October 30 Lydia Roosevelt gave birth aboard the New Orleans to a son they named Henry. They departed Louisville in late November to make their way over the Falls and after stopping to resupply into the Mississippi River. It was hoped that the Mississippi River would be relatively easy to cruise down. Andrew Jack had experience on the river and knew the channel well. It was not an easy cruise to New Orleans. On December 16, shortly after the New Orleans had entered the Mississippi, the New Madrid earthquake hit. This earthquake, which was actually an extended period of severe tremors, has been estimated up to an 8.0 on the Richter scale basically reshaped the Midwest. The entire channel of the Mississippi was erased, the course of the river changed dramatically. For about an hour after the most severe tremors the river actually ran backwards. Jack, the pilot, had no idea where he was and soon found himself navigating the boat over areas that only hours before had been fields or forests. Whole sections of the shore were dropping into the river, islands appeared and disappeared. Tiger the dog would often give warning of a fresh tremor by putting his head in Lydia’s lap before it hit. A few days after the worst of the tremors the New Orleans arrived in New Madrid itself. Houses had fallen into the holes that opened in the ground. Many people asked to be taken aboard but the steamboat had neither the space for all the refugees or the means to supply them. 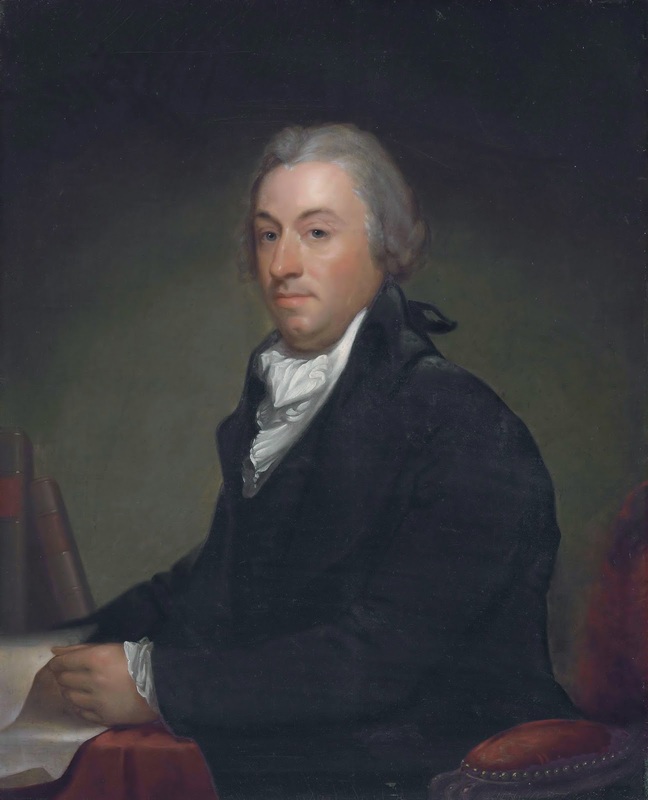 The New Orleans finally arrived in New Orleans on January 10, 1812. It had spent a total of 259 hours cruising on the trip and averaged 8 mph. The time announced for the trip did not include all of the time lost stopping to wait for the right conditions or for other reasons. In less than two weeks the New Orleans set out on the first voyage along the route that Livingston and Fulton had envisioned for it, New Orleans to Natchez and back. The ship could make 3mph upstream and 10mph downstream meaning she could complete a round trip every three weeks. Fulton and Livingston began to sell stock in their steamboat which realized a profit estimated to be about $20,000 in its first year in operation. Edward Livingston also helped his brother and Fulton get a monopoly on steam travel in the territory. Violating the law would mean having to pay Fulton and Livingston $5,000 for each violation and forfeit any unauthorized steamboats to them. The Chancellor did not live long enough to enjoy the monopoly on the river to its fullest; he died in 1813. The New Orleans met its end in July of 1814. She snagged a log or some other obstruction near Baton Rouge which punctured her hull. The ship sank but her engine was removed and used in a later vessel of the same name. In 1989 author Clive Cussler and his National Underwater and Marine Agency (NUMA) set out to try to find the final resting place of the original New Orleans. They surveyed the shore and were able to come up with a “ballpark” location for the boat but unfortunately the Army Corps of Engineers had laid a steel and concrete revetment mattress over the site in 1971 to help control erosion. This made finding an exact location using various forms of metal detectors impossible.